When it comes to the new generation of muscle cars, the 2016 Ford Mustang is a head of the pack. With four engines to choose from, cutting edge technology, and the Shelby 350GT, there is a perfect 2016 Mustang for you. Behind the scenes the front and rear suspension have been reworked to provide a blend of comfort and speed. Ford has taken things to the next level with available packages like Selectable Drive Modes, which change the way your Mustang performs. First up we’ll take a look at the 2.3L EcoBoost, which delivers an impressive 310 hp and 320 lb.-ft. of torque thanks to a twin-scroll turbocharger. The end result is a quick response when you push down on the throttle, and a fuel efficiency that other muscle cars can only dream about with a 22mpg city and 31 mpg on the highway. If you want a little more power then there is the balanced 3.7L V6 with 300 hp and 280lb.-ft of torque. This powerful V6 has the Ford Ti-VCT system, which gives precise control over the air and fuel intake and exhaust output. This means you get maximum power, while still getting up to 28 mpg on the highway. These first two engines are powerful enough, but it wouldn’t be a Ford Mustang if it didn’t push the boundaries of what a muscle car can do. The GT comes with the powerhouse 5.0L V8 with 435 horsepower and 400 lb.-ft. of torque. Ford has engineered nearly every aspect of this engine to provide the optimal output of power, plus it has a tuned exhaust that makes this machine sound downright incredible. Breaking the expectations of what a new generation muscle car is capable of, the Shelby GT350 is ready to take on anything you can throw at it. The engine is no joke, and thanks to the 5.2L V8 engine you’ll be pushing 526 horsepower. Behind the scenes Ford has made sure that the transmission, breaks, and the have all been fine-tuned. You’ll get a 6-speed TREMEC manual transmission, Brembo brakes in the front and rear, and a body that has undergone strenuous aerodynamics testing, all to provide you with the ultimate muscle car. If you want to feel what your Mustang is capable of, you’ll need to try out the Electric-Line Lock system. Ford has created this entirely new feature for the 2016 Mustang, allowing you to get the most powerful starts possible. It works kind of like Launch Control, but it ends up being more fun. Electric-Line Lock will lock up the front wheels and allow the rear wheels to engage, allowing them to warm up and prepare them for Launch Control to allow your Mustang to take off like a rocket. On top of all of the available features and different engines, Ford has created several Selectable Drive Modes which allows you to fine tune your everyday driving experience depending on the conditions of the road. Between Normal, Snow/Wet, Sport, and Track modes you can switch between a stable daily driver, a sporty muscle car, and an aggressive driving machine, all with the flick of a switch. Trying to explain just how awesome the 2016 Ford Mustang is in words is a pretty big challenge. Yes, the pictures show you how incredible this muscle car is, but there is no way you can read this and truly understand the raw and exciting power this car brings to the table. 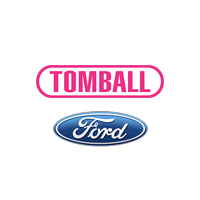 Come on down to Tomball Ford, talk to one of our staff, and take this vehicle for a test drive.